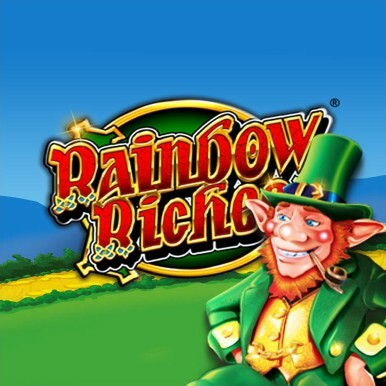 Anyone with an interest in online gaming will probably know Rainbow Riches inside out. In fact, it’s so incredibly iconic that even those who’ve never tried their luck with a single spin online will no doubt recognise it in an instant. A pure and simple masterpiece from the folks at Barcrest, Rainbow Riches has been delighting online and offline audiences alike since way back in the day. 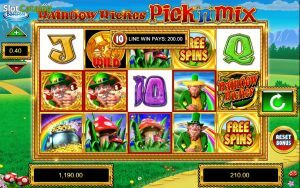 The question being – what’s the secret to the success of this seemingly simple slot? What is it that Rainbow Riches apparently does so much bigger and better than its counterparts? 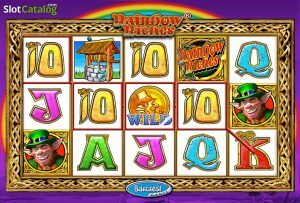 As far as the basics go, Rainbow Riches has five reels, 20 paylines and undeniably gorgeous graphics. Unsurprisingly, the theme is stereotypically Irish in nature, with pots of gold and leprechauns as the stars of the show. Normal play is relatively simple and…if we’re being completely honest…the 500-coin jackpot during the base game isn’t particularly exciting. And nor does it have to be, given the way in which Rainbow Riches is all about those incredible three bonus features that make the game so legendary. 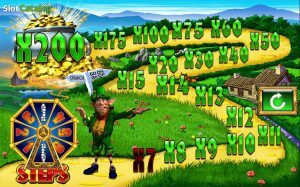 First comes the Road to Riches Bonus feature, which can be accessed by landing at least three of the Bonus Leprechaun scatter symbols in any positions on the reels. With each subsequent ‘spin’, you’ll land on a random number to decide how many steps you take up the price path. Which continues until you either reach the end of the path or land on a ‘collect’ symbol, at which time your prize will be paid out. The maximum prize available during this bonus round is a generous 500X your bet. Next in line comes the Wishing Well Bonus feature, for which three Wishing Well scatter symbols need to appear in any positions on the reels. When this happens, you’ll be presented with three wishing Wells to choose from – pick whichever you think is the luckiest. 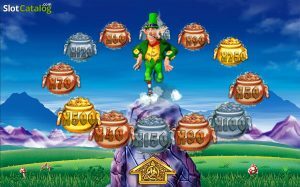 As for the third and final bonus round, the Pots of Gold feature is arguably the best of the bunch. Not to mention, the most difficult to access in the first place! 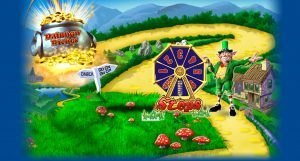 To activate the bonus round, you’ll need to land three Pots of Gold Bonus symbols on the middle three reels at the same time. When this happens, you’ll see bronze, silver and gold pots spinning around the screen – whichever one the arrow points to will reveal the multiplier you’ll walk away with, once again up to a maximum of 500X.